Working abroad might seem glamorous to many, especially because overseas Filipino workers (OFWs) often go back home wearing branded clothes, the latest gadgets, and seem to have a lot of money. But the reality is sad as there are many who actually have to work like a horse, even getting less than 4 hours of rest each day. Earning money abroad is difficult – and many OFWs have experienced many hardships that a lot of them don’t wish to tell their families so they would not worry. Cristina Arado was among those who were maltreated by their employers. She works for a family in Jeddah, Saudi Arabia but gets very little rest because she is also brought to several households to work in the homes of for her employer’s family and friends – and that is without extra pay! It would have been alright if the Filipina was getting twice or thrice her pay because she’s working for many households, yet she only gets one salary but has to work many times harder. To prevent her from complaining to the authorities or seeking help for her situation, her employers confiscated her cellphone. Her passport was also taken so she would not try to escape. 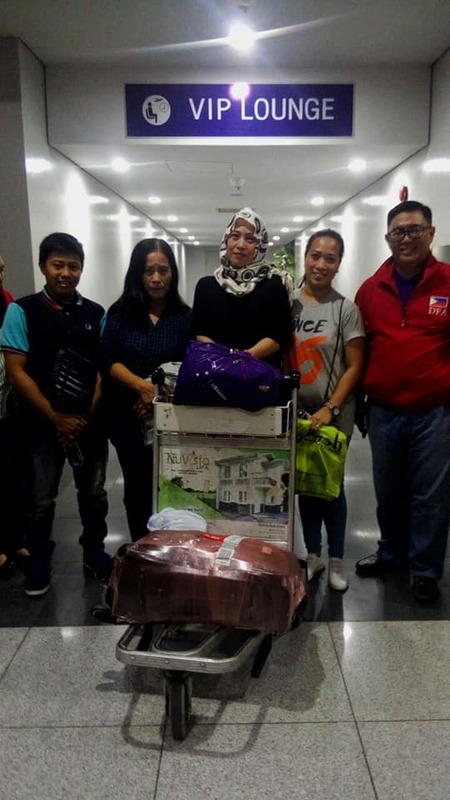 Thankfully, the OFW was able to eventually tell someone about her situation and her family sought the help of the Department of Foreign Affairs (DFA). 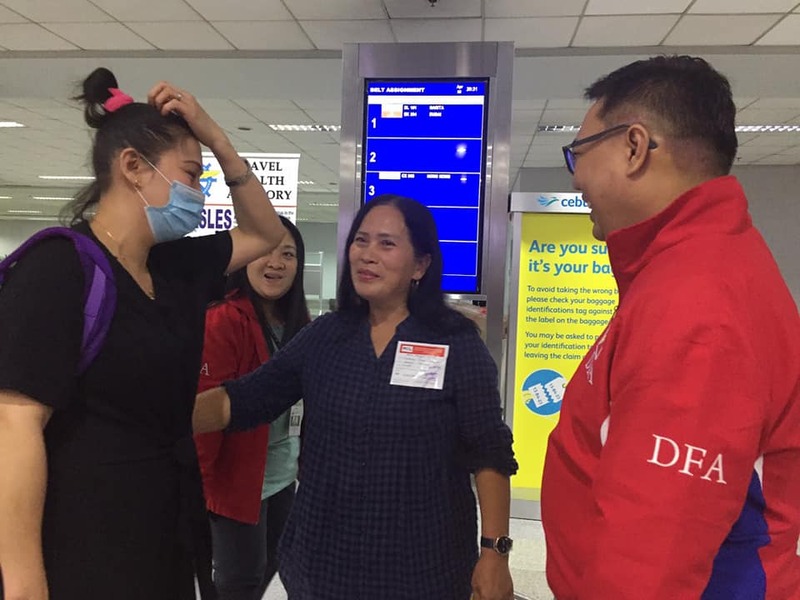 Quickly, the DFA created a team to rescue Cristina and they were successful in taking her from her employers, just a day after the government agency received the report about her situation. Her ordeal did not end there as she still had to get her passport and other travel documents, including her exit clearance. But the DFA assisted her in obtaining these documents as quickly as possible. Her repatriation was also done ASAP. 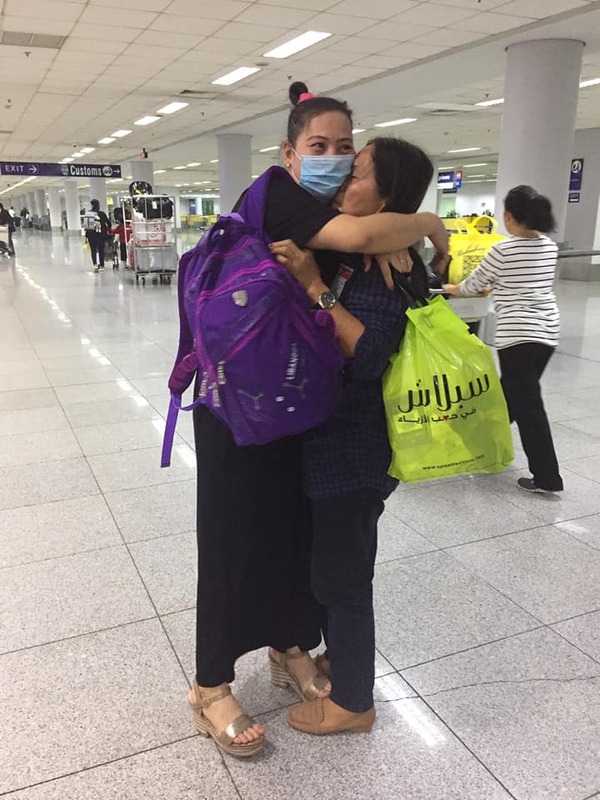 On April 9, the maltreated OFW was finally brought home to the Philippines. Local DFA officials and her mother were there at the airport to welcome her home.